Following the recent introduction of the remap for the twin turbocharged CDI220 Mercedes diesel engine, global remap leader Superchips has introduced a conversion for the single turbocharged version, the 200CDI BluEFFICIENCY unit. The development process for the 136PS 200CDI engine, used in the A, B, C and E-class model ranges, follows the same process as all Superchips remaps, being developed in-house on Superchips’ state-of-the-art rolling road chassis dynamometer. Mechanically, the 200CDI is identical to the 220CDI with the exception of a single rather than twin turbochargers. This means slightly lower power and torque figures from the factory but the improvements due to the Superchips’ remap are just as significant. Customers can expect power gains of 23bhp at 4271rpm and a huge 74Nm extra of torque at 1998rpm. In addition to the more relaxed cruising ability and greater margin for safety when overtaking that the remap provides, drivers can also expect potential improvements in fuel economy of up to 7% when driven in a like-for-like manner. The cost of the conversion for the Mercedes 200CDI BluEFFICIENCY engine is £365, including labour and VAT and can be fitted by any of Superchips nationwide dealer network. 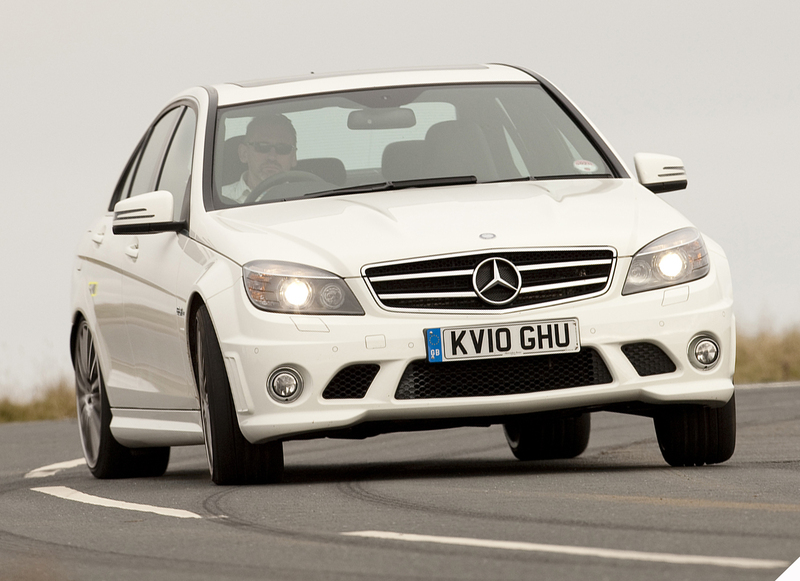 Hot off the back of the recent launch of the remap for the Mercedes-Benz 220 CDI turbodiesel engine, ECU specialist Superchips has released a conversion for the 200 CGI BlueEFFICIENCY engine, used in the C-Class, E-Class and SLK model ranges. The Superchips remap for the 1.8-litre turbocharged petrol engine, using Siemens management, follows the company’s tradition of improving engine torque and power but with no penalty to fuel economy when the car is driven in a like-for-like manner. The remap for the CGI engine improves performance significantly, for more relaxed cruising, increased safety when overtaking and generally, more driver enjoyment. Power increases by 27bhp at 4369rpm while torque rises by 44Nm at 4240rpm. However, the figures don’t tell the full story; gains are seen throughout the engine’s rev range, from 1500rpm right up to the red-line, making the car much more driveable at all speeds. The remap uses Superchips’ Pro2 device, which when fitted to the vehicle, optimises engine fuel, turbo boost and ignition settings. The Pro2 device is fitted to the vehicle by one of Superchips’ nationwide dealers and the price of £399 includes labour and VAT. The conversion is covered by Superchips’ no-quibble seven-day money back guarantee, if the owner is dissatisfied with the conversion and the Pro2 device itself is also covered by Superchips’ warranty. For more information or to buy the remap for the Mercedes CGI engine, click the following hyperlink. Drivers of Mercedes models using the 2.2-litre twin turbocharged diesel engine can now enjoy significant performance and economy gains, thanks to the latest addition to the range of ECU remaps from Superchips. Used in both the C-Class and E-Class ranges from 2009 onwards, the 220 CDI BluEFFICIENCY engine leaves the factory with a healthy 168bhp and 400Nm of torque. However, extensive development by Superchips on its rolling road has resulted in an additional 30bhp at 4308rpm and 50Nm torque at 3039rpm, bringing the figures up to almost 200bhp and 450Nm. These translate to gains of 18% in power and 12.5% in torque. Even more impressive than the outright figures are how the improved power and torque curves reflect the originals. The Superchips remap follows the original curves perfectly, allowing the engine to maintain its reputation for low speed performance with gains from 2000rpm onwards. The net result offers improved performance throughout the engine range, giving more relaxed motorway cruising and a greater margin of safety for overtaking. An additional benefit of the remap is improved fuel economy, with drivers expected to achieve a gain of up to 7% against a comparable driving style. The remap is carried out by any of Superchips dealers via the car’s on-board diagnostic socket, meaning the engine ECU remains untouched. 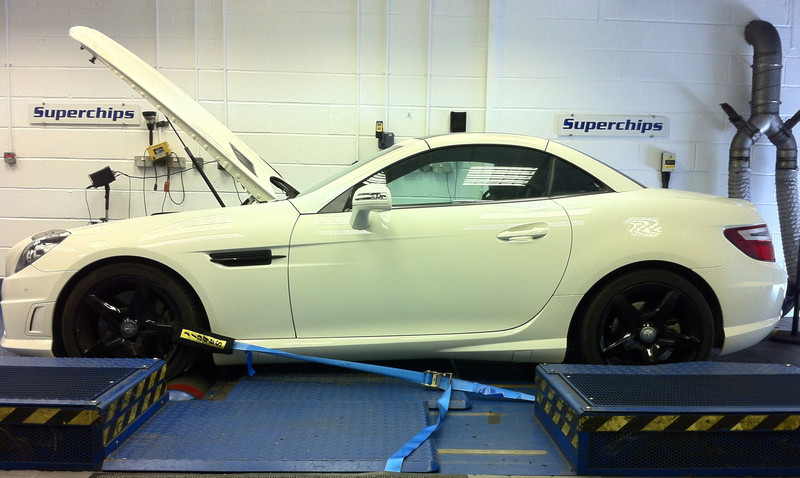 The work is expected to take around one hour and like all Superchips conversions, the car is fully tested before being handed back to the owner.